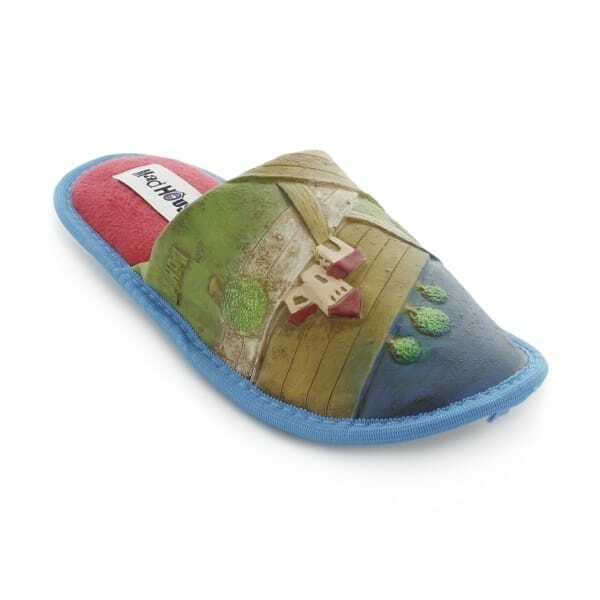 Featuring an intricate and pretty design of a scenic house, these slippers provide a stylish look for your feet. The Icasa slippers by Shuperb are super lightweight and in a mule style, they can be slipped on and off at ease. From the second your feet slide in, they will be greeted with fluffy textile lining providing limitless comfort and warmth for your feet whist the sole features grooves to heighten grip keeping you steady on your feet. Ideal either as a gift or for yourself, these slippers are deal for anyone.